Posted on October 29, 2018 by Eric Bonnici wrote in Entertainment News. It has 0 Comment. 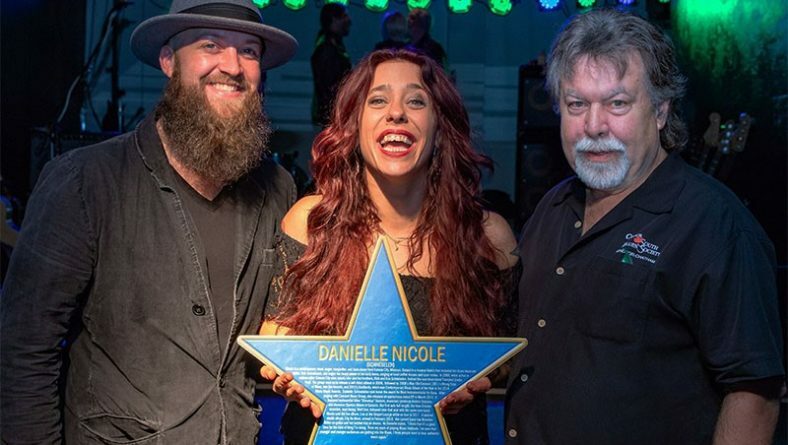 Windsor’s Canada South Blues Society (CSBS) hosted award winning Blues artist Danielle Nicole, for a live performance, surprising her with an induction into the Canada South Blues Museum Hall of Fame this past Saturday. 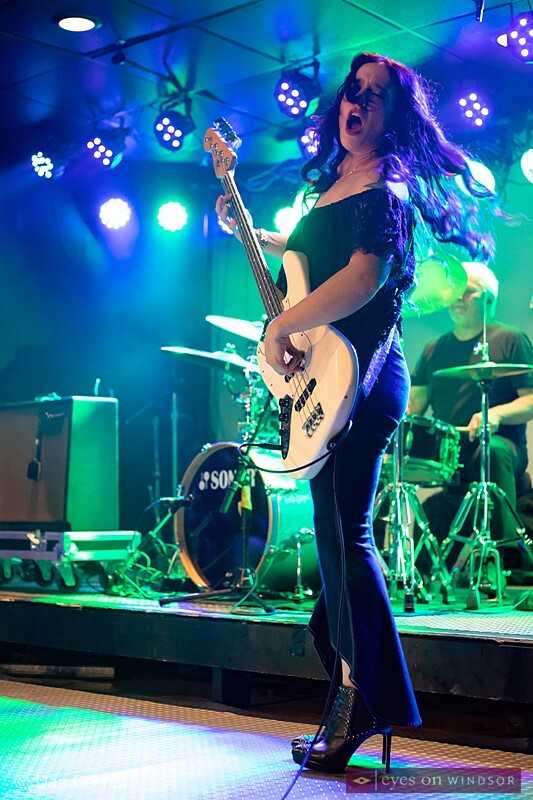 Danielle Nicole, playing the bass guitar while performing at RockStar Music Hall in Windsor, Ontario, on Saturday, Oct. 27, 2018. Photo by Dan Boshart / Eyes On Windsor. 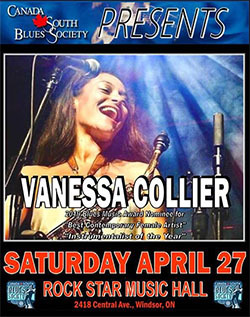 Founding member, lead singer, and bass player of Kansas City blues-rock band Trampled Under Foot, Danielle Nicole first caught the attention of Michael McCann, CSBS president, when the band won the International Blues Challenge in Memphis, Tennessee, in 2008. 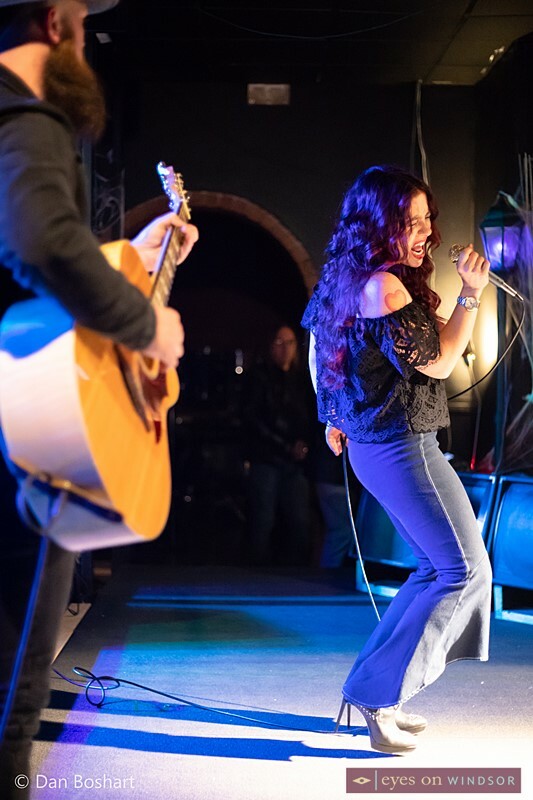 In 2015, Danielle Nicole left the band and embarked on her own with her debut album “Wolf Den.” McCann spoke with Danielle back in May of 2018 following her show at Callahan’s Music Hall in Auburn Hills, Michigan. McCann, who is part of the Bluesfest Windsor organizing committee, books Blues acts for the festival, and was able to sign the Danielle Nicole Band. And she thrilled the crowd at Windsor’s Festival Plaza during the 2018 edition of the festival. 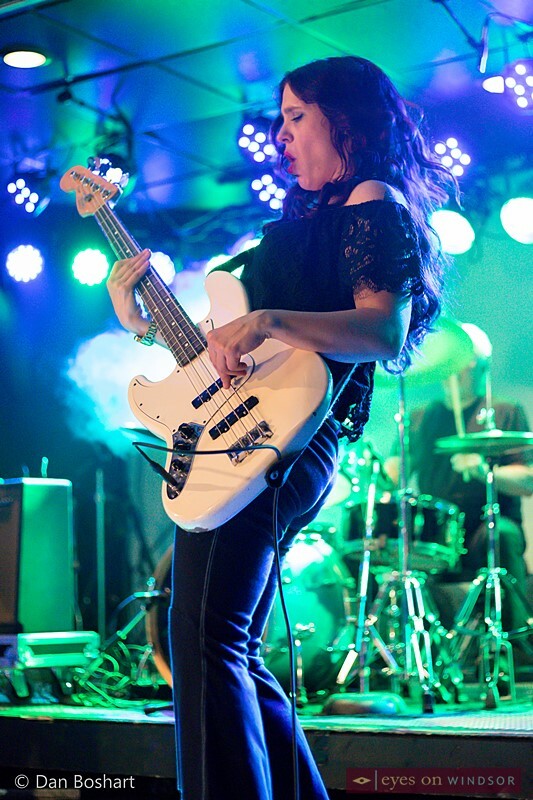 Award winning Blues artist and bassist, Danielle Nicole, performing at RockStar Music Hall in Windsor, Ontario, on Saturday, Oct. 27, 2018. Photo by Dan Boshart / Eyes On Windsor. A year prior to leaving Trampled Under Foot, Nicole’s distinctive, inventive bass work—which resulted in her becoming the first woman to win the Blues Foundation’s 2014 Blues Music Award for Best Instrumentalist, Bass—is the product of years of intensive roadwork. Although she had no experience with the instrument when she became Trampled Under Foot’s bassist, now she can’t imagine life without it. In 2018, Danielle Nicole returned with her follow-up release, “Cry No More”, via Concord Records. The album recently garnered three 2018 Independent Blues Awards in August, and more recently in September, the 2018 Blues Blast Music Contemporary Blues Album Award! More recently, right here in Windsor Ontario, Danielle was surprised with the honour of being inducted into the Canada South Blues Society Hall of Fame on October 27, 2018. 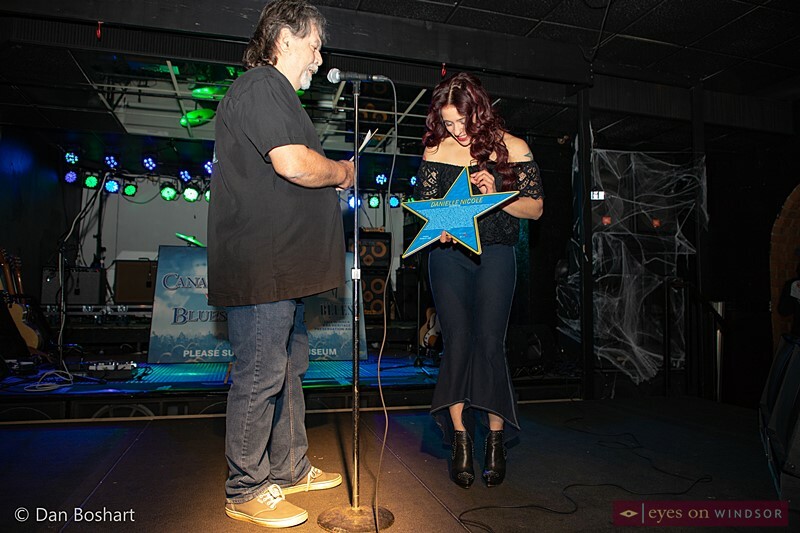 Canada South Blues Society president, Michael McCann (left), presenting Blues artist Danielle Nicole with the organizations Hall of Fame Induction Award Plaque in Windsor, Ontario, at RockStar Music Hall on Saturday, Oct. 27, 2018. Photo by Dan Boshart / Eyes On Windsor. 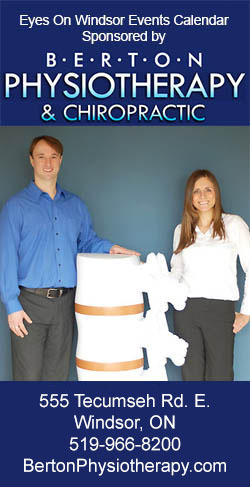 Danielle’s CSBS Induction performance was almost cancelled due to her drummer and older brother, Kris Schenebelen, taking ill. 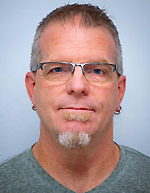 However, the performance was saved when McCann was able to enlist talented local veteran drummer, Glen Brandt of The Soulminors, to fill in on drums. Danielle Nicole Band performing during Danielle’s Canada South Blues Society Hall of Fame Induction show at RockStar Music Hall on Saturday, Oct. 27, 2018. 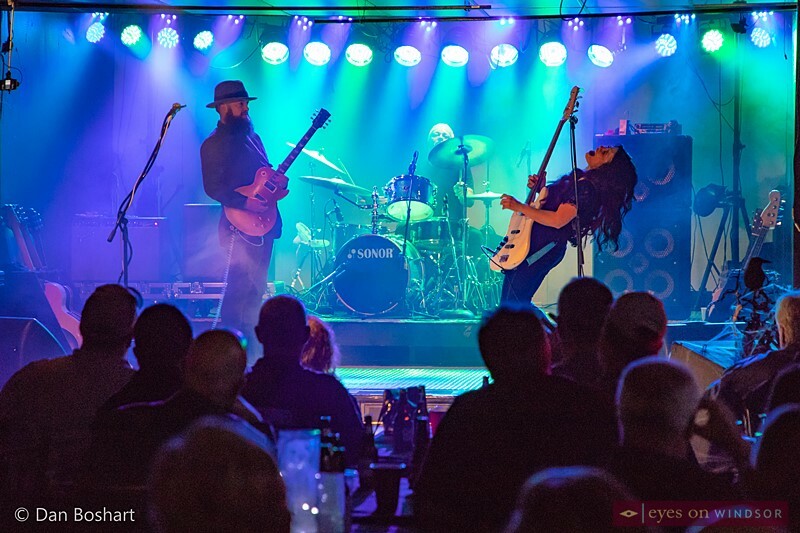 From left Brandon Miller (guitar), Windsor’s Glen Brandt of The Soulminors on drums (filling in for Kris Schenebelen), and Danielle Nicole (bass/vocals). Photo by Dan Boshart / Eyes On Windsor. The Canada South Blues Society, in partnership with the Francophone community’s Place Concorde, operated the only live performance blues museum in Canada. The walls of Oasis Pub (inside Place Concorde) were adorned with over 120 world-renowned artists, all of whom have played in Canada South.​ Place Concorde recently changed ownership and the Canada South Blues Museum is currently in search of a new location. During this transition the CSBS is hosting shows at various locations throughout the city. 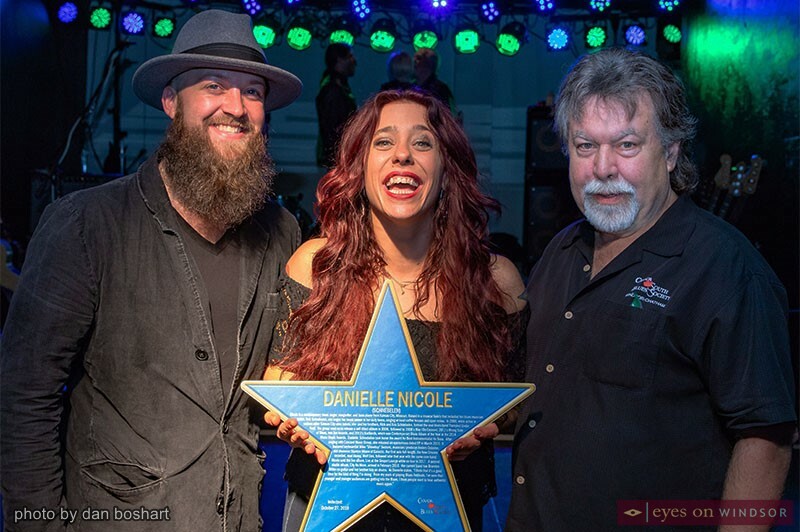 The Danielle Nicole induction show was hosted at Windsor’s RockStar Music Hall. Once a new permanent location is established the 120+ blues artists photos, including Danielle Nicole’s will be re-hung on the walls. The first inductee into the Canada South Blues Museum was the legendary Johnnie Johnson, inducted on his 80th birthday. Other inductees include Eric Burdon, Jeff Healey, David Honeyboy Edwards, Bobby Rush, Kim Wilson, Sir Mac Rice, Sherman Robertson, Powder Blues Band, and Matt Minglewood, to name a few. 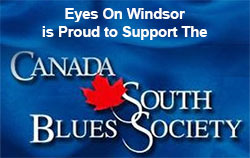 The Canada South Blues Society hosts 8 to 10 shows per year. McCann said that performances have been booked through 2019. Up next the society will host, as McCann tells us, “Southern Avenue, a young band out of Memphis that is tearing it up right now,” on December 7th. Additional, upcoming shows include Larry McCray, Vanessa Collier, Victor Wainwright, and Nick Moss & The Flip Tops.